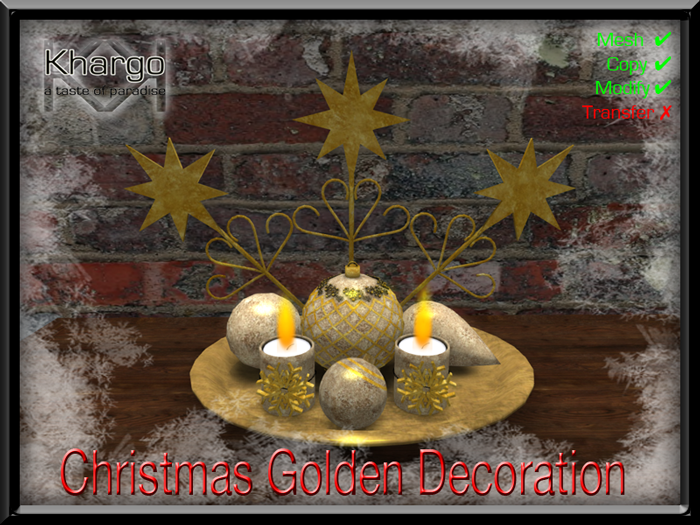 Khargo’s annual Christmas Market has returned with wintery landscaping items, festive home decor and furniture. Explore the icy canyon to find snowball fights, a skate pond, snowmen and sleighs or browse through the store filled with Christmas cheer. 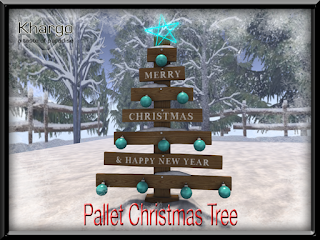 This weekend we have a blizzard of new releases to mark the beginning of our favourite season! 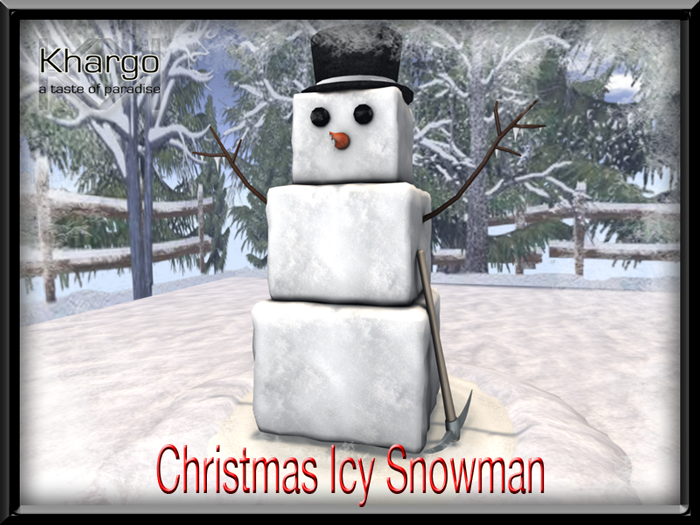 He may be cold as ice but he's cute enough to melt your heart! 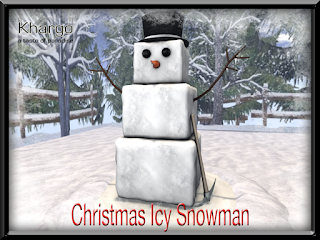 The Christmas Icy Snowman has a land impact of 7 and is copy and modify. 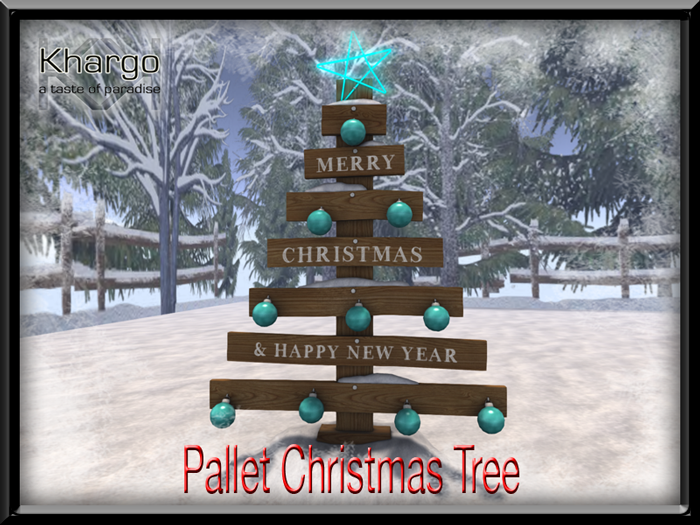 A simple and lovely Christmas Tree made from a pallet with a festive message and decorated with baubles. Land Impact is 9 and copy/modify. 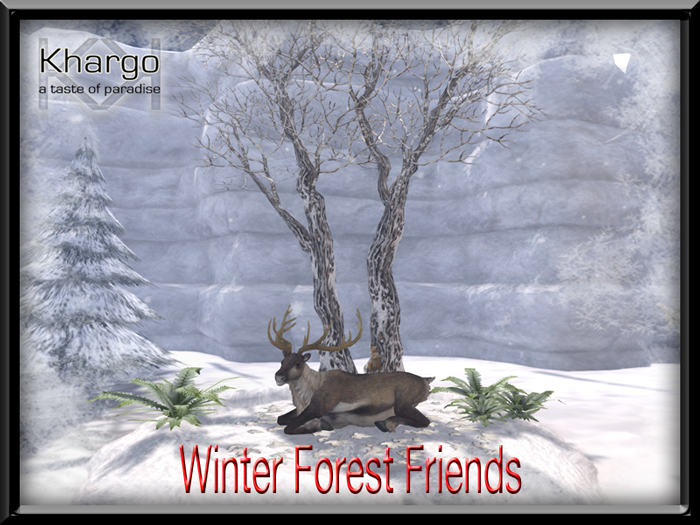 A beautiful friendship to warm your heart in Winter! 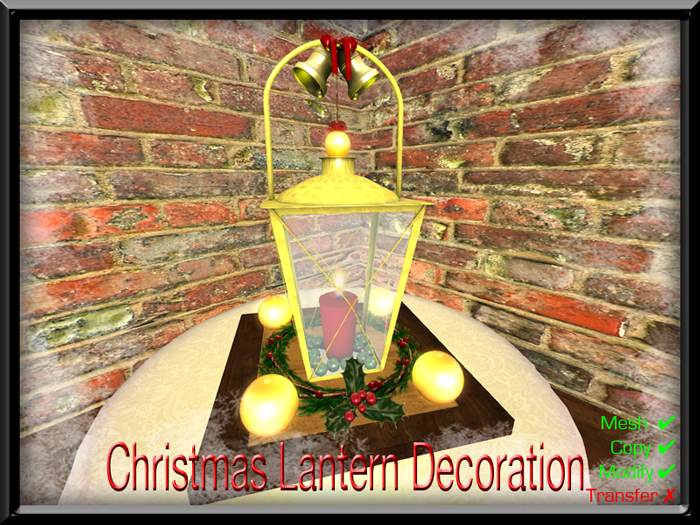 Land Impact is 12 and this item is copy and modify. 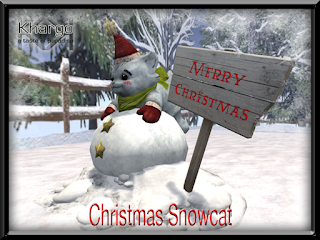 The cutest snowcat you ever did see! Light up your place with some festive street lanterns. 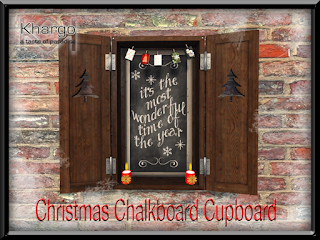 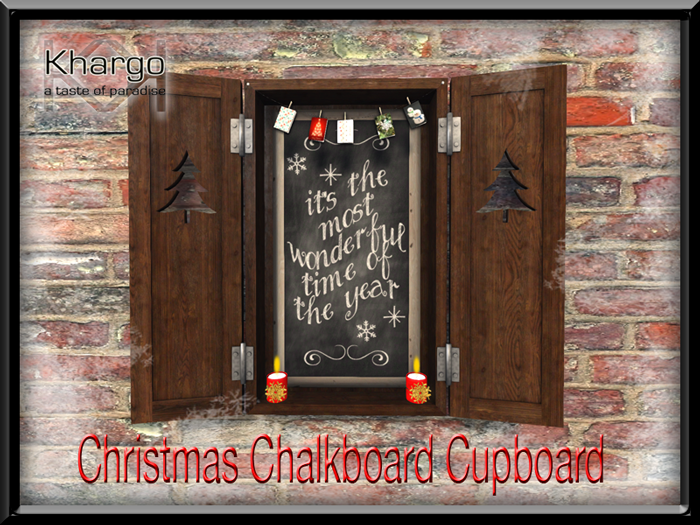 A vintage style cupboard with a festive chalkboard greeting. A bright and sparkly centerpiece decoration for your festive table. 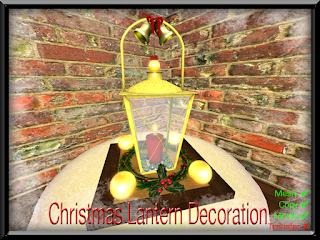 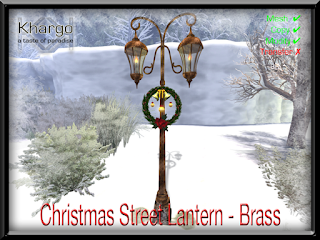 Khargo Christmas Lantern Decoration adds a touch of charm to your festive decor.